Several studies show that eating chocolate can reduce our insulin resistance, which is why we get type 2 diabetes in the first place. But not just any chocolate candy will cut it. 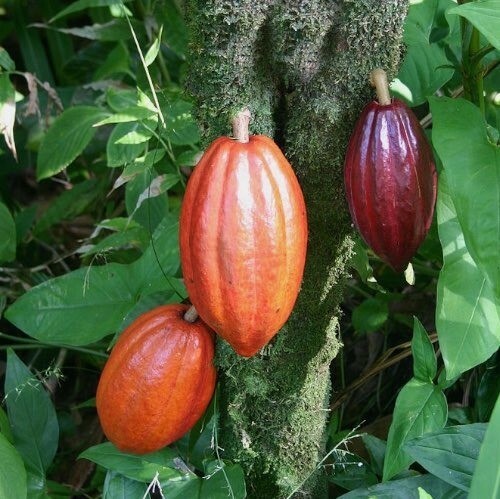 We extract chocolate from cocoa beans, which for good reason carries the scientific name meaning "food of the gods." The Aztecs saw it as a sacred plant, reserving it for their royalty. Nowadays all of us peasants consume chocolate with abandon as one of our favorite foods. But while chocolate candy tastes so good, it isn't good for us. It's usually high in sugar and low in the healthy part of cocoa, the flavanols. The usual processing method, generally called the Dutch process, strips the flavanols from cocoa. In recent years quite a few studies have shown that the flavanols in cocoa beans helps people prevent memory loss and have better insulin sensitivity. Flavanols are a form of flavonoids, the beneficial plant-based nutrients found naturally in cocoa as well as in red wine and black and green tea. Cocoa is one of the richest sources of flavanols, and researchers have discovered that largely by improving insulin sensitivity they reduce memory loss. Memory loss, which the scientists term "cognitive dysfunction," can lead to dementia, including Alzheimer's Disease. This dreaded disease of aging is so common among people with diabetes that some doctors now call it type 3 diabetes. A 2011 study of more than 1,000 adults in a suburb of the Japanese city of Fukuoka found that the people with diabetes had slightly more than twice the chance of getting Alzheimer's Disease as those who passed the glucose tolerance test. Ten years ago Dr. Suzanne M de la Monte, a neuropathologist and professor of pathology at Brown Medical School, was the first person to make the connection between diabetes and Alzheimer's Disease. Writing in the Journal of Alzheimer's Disease, she proposed the term type 3 diabetes. Dr. de la Monte has followed up with five more studies in professional journals. Italian researchers have found that the flavanols in cocoa can improve insulin sensitivity. One of these studies appeared in a 2005 issue of Hypertension, another in a 2008 issue of The Journal of Nutrition, and a third in an 2012 issue of Hypertension. But a new study by these Italian researchers that appeared in the March 2015 issue of The American Journal of Clinical Nutrition makes the most persuasive case for us to eat chocolate. The authors randomly assigned 90 volunteers into three groups that drank either low, intermediate, or high amounts of cocoa flavanols. Eight weeks later those people who drank intermediate or high levels showed clear improvements in their memory and had improved insulin sensitivity. In fact, the biggest contribution to their improved memory was because of their changes in insulin sensitivity. "The evidence of an influential role of the improvement of insulin resistance on the amelioration of cognitive performance that we have observed is quite interesting," the corresponding author of the study, Giovambattista Desideri, a professor at Italy's University of L'Aquila, wrote me. "It fits with a growing body of evidence suggesting a pathophysiological role for insulin resistance in cognitive dysfunction. Although only few patients in our study had type 2 diabetes, our data provide some encouraging evidence that the improvement of glucose metabolism could represent a therapeutic target also for nutritional intervention to counteract/prevent age-related cognitive decline." Because I have type 2 diabetes, this research inspired me to discover the best way to get the flavanols I need from chocolate. The results of that quest will follow in a few days.